Maintain your teeth and make it easy to smile for years to come . . .
General dentistry, also called Family dentistry, is taking care of your routine dental needs and preventing future dental problems. 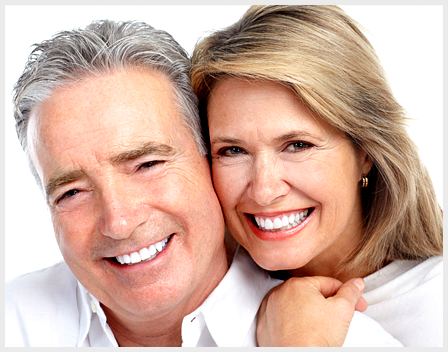 It encompasses most people’s needs from dental cleanings to full-mouth dentures and everything in between. Whether you were referred to us by another doctor or come to see us on your own, from the very start we go that extra distance to make your visit as pleasant as possible. We listen to your needs, concerns and aspirations to ensure you get the right information to make the best decision for your dental situation. Over 90% of the population show signs of gum disease or dental disease without even realizing it. This is because those conditions typically start as a silent problem and may go unrecognized until the final stages. Routine dental visits are the only way to combat these problems and catch disease before it becomes more complicated, jeopordizing your smile, teeth and oral health.